Catherine Marks and George Walters were the fastest female and male riders to ascend the 2018 Continental Tyres’ Hill Climb. The Stop and Call hill comes towards the end of the three longer routes and the supporting crowds have created a real Alpine feel to it by ringing their Tour of Pembrokeshire cow-bells. SambaDoc also encourage the riders by beating out a rhythm at the start of the climb. 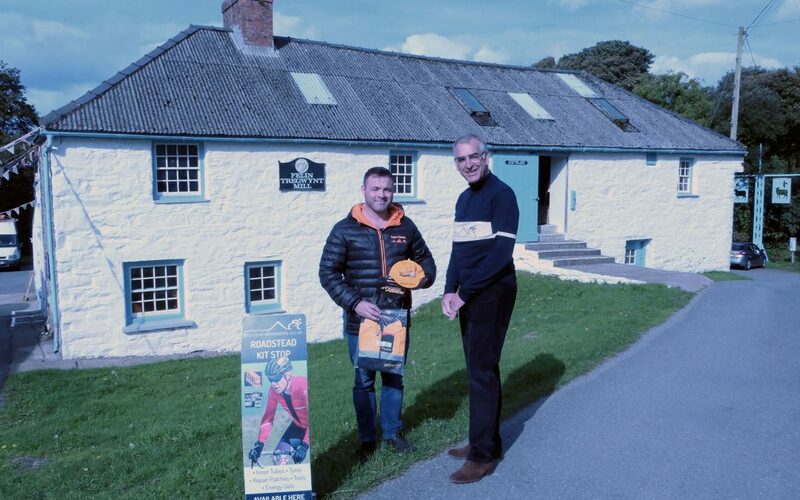 Pictured with Peter Walker at the Melin Tregwynt Roadstead Cafe is George Walters of Team Cemaes with his Continental Tyres’ prizes of a pair of Grand Prix Attack and Force road race tyres and a windproof jacket and cap, great for winter riding. Well done to you both.